Good day, I see that you state each module requires 100 hours of study, how many modules are there? Are there any practical projects that must be completed for this course, since I am not at home and don't have access to hydroponics equipment at this time? Does the course fees include all study materials? Unlike most of our other Advanced Certificate Courses made up of four 100 modules, this one is just one course of 30 lessons. 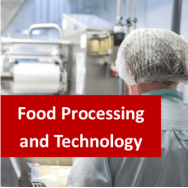 The practical elements of the course relate to independent research, not hands-on experience. 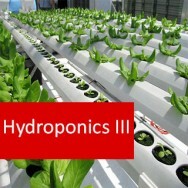 Therefore, you will be able to satisfactory complete the course without hydroponic equipment. The fee includes all of your learning materials delivered in a pdf. format, unlimited tutorial support throughout, your examination, your final Certificate, plus a transcript of what you learned and your assignment grades. Hello! My query is by completing the course for Advanced Certificate In Hydroponics VHT013, will the knowledge be sufficient for me to work for example in a green house who is growing lettuce on a commercial level. Thanks. 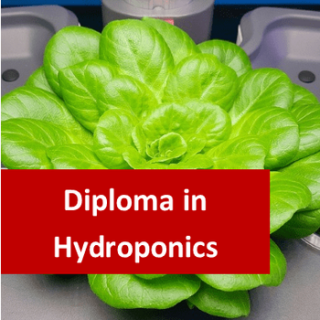 The knowledge gained from this course should be a great start for you to begin a career in Hydroponics. You may need some extra training on top of it, but it is a very useful course for anyone starting out. ( 18/07/2014 ) A: Hello Wayne, Most of this course is assessed through your coursework, but there are also two exams to complete throughout the course, once you reach the halfway point and at the end of the course. Your tutor marks all your coursework and exams. ( Paul Ellams, 16/07/2013 ) Q: Could you tell me what previous horticultural knowledge I need to have to complete the Advanced Certificate In Hydroponics VHT013 course, I have been growing hydroponically at home successfully for about 10 years but I'm not sure if a more general horticultural grounding is required prior to starting this course. ( 17/07/2013 ) A: Hello Paul, There are no per-requisites for our Advanced Certificate in Hydroponics, which means that you will be perfectly capable of completing the course with the knowledge you currently have. I hope this helps! ( 12/07/2013 ) A: Hi, Our courses are designed to be done at the students pace. We recommend an average of 10 hours per week, with each module taking roughly 100 hours of study. We have many students who have to put their studies on hold while they go through busy periods in their lives and this is perfectly acceptable. On the other hand, we have some students who want to go through the course quicker and so put more than 10 hours a week in, this is also fine. Our courses are completely self-paced. I hope this answers your question! 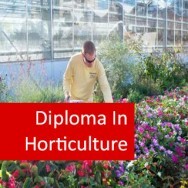 Diploma in Hydroponics course online. 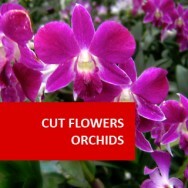 Understand how to grow plants without soil. This course provides an understanding of modern technology and its application to growing plants, with emphasis on hydroponic production. Identify the nutritional requirements of plants and how these can be met hydroponically. Discuss the effects of temperature and plan growing strategies for different temperature conditions. Identify different hydroponics systems and evaluate their qualities. Investigate the varieties and properties of different growing media. Identify nutrient requirements for different situations and describe solutions that will provide them. Describe and explain the use of the equipment used in hydroponics systems. 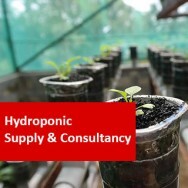 Discuss a range of cultural practices for hydroponics and design and conduct a trial to evaluate the commercial prospect of growing a chosen hydroponic crop. Determine different hydroponics practices, including careful planning of crop production. 5 Hydroponic Growing Systems:Basic concepts and designs, site considerations. 6 Growing Media:Types, properties, uses. 18 Other Techniques:Wick systems, flood & drain, bag culture, aeroponics, etc. Transplanting Crowns, Offsets, Tubers, Etc. You will undertake a research project on hydroponics (any aspect that you wish), plus write a report on your research and your findings. The final report should be around 3-5 pages long, and include a title page and a bibliography or list of references.